"This is no ordinary election." 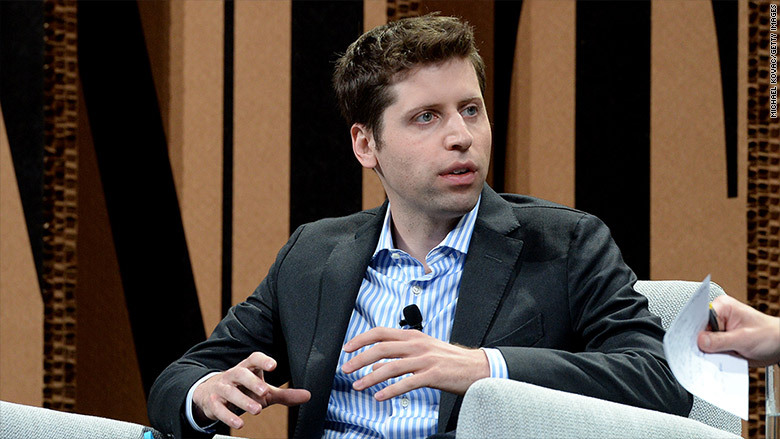 Silicon Valley insider Sam Altman is taking a strong stance on Donald Trump. Altman, who heads up elite startup accelerator Y Combinator, likened Trump to Hitler in a blog post published on Monday afternoon. "Trump is irresponsible in the way dictators are," wrote Altman. "Trump's casual racism, misogyny, and conspiracy theories are without precedent among major presidential nominees." Altman, who said he's supported some Republicans in the past, isn't the first to make the Hitler comparison. While Altman agrees with some of Trump's beliefs that Americans are getting "screwed by the system" and that the economy is growing too slowly, he says Trump's approach to correcting these problems is dangerous. Trump's suggestions include banning outsiders, particularly Muslims. "Demagogic hate-mongers lead down terrible paths," Altman wrote. Altman suggests that Trump, like Hitler, also has a Big Lie. He claims that he'll "Make America Great" (his slogan) when he, in fact, doesn't have a means of doing so. "He distracts us with hate of outsiders in the hopes that we don't notice he has no plan for the inside," added Altman. Trump does have the support of one of Silicon Valley's biggest names: Peter Thiel, cofounder of PayPal and Palantir. He's slated to be a Donald Trump delegate this summer. But the overwhelming bulk of disclosed political campaign donations from the tech community has gone to Bernie Sanders, according to Crowdpac. Altman is calling out to other techies to speak out. It's risky, which Altman acknowledges -- "I'll feel bad if I end up hurting Y Combinator by doing so" -- but worth it. "'The only thing necessary for the triumph of evil is for good men to do nothing'" Altman quoted a famous saying in his post. "This would be a good time for us all -- even Republicans, especially Republican politicians who previously endorsed Trump -- to start speaking up." Altman shared the post on Twitter, temporarily coming back from a self-imposed hiatus. Last week he announced that he was quitting Twitter for awhile because he's tired of the negativity, snark and attacks on the platform. "In an ordinary election, it's reasonable for people in the business world to remain publicly neutral. But this is not an ordinary election."